Mitch Albom has done it again. With his newest book, Have a Little Faith, he has beautifully penned a book that is insightful, touching, and highly memorable. This is the first non-fiction book Albom has written since his, now classic, Tuesdays with Morrie, notably one of my favorite books of all time. Like his earlier book, Have a Little Faith centers on a figure who Albom had a previous connection with in his life, who then plays a later role as a "teacher of life." 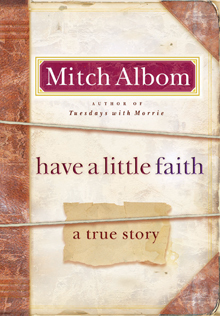 In Have a Little Faith, that role is played by Rabbi Albert Lewis, Albom's childhood rabbi, and as he explains, the only rabbi he feels he has ever had, even though Mitch moved away from his hometown in New Jersey. This book only exists because Rabbi Lewis asked Albom to write and deliver his eulogy. Lewis is battling a tumor in his lung. Albom feels unready and unprepared for this task at the beginning of his story. 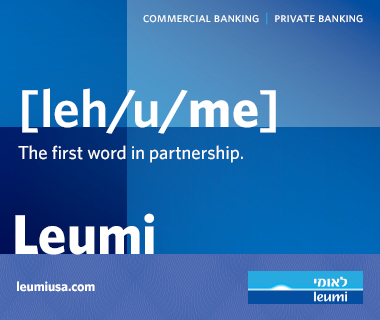 He struggles with why he has been personally asked to take on this honor, and feels that he needs to get to know Rabbi Lewis better– he wants to know who he is as a basic human being, beyond his rabbinic persona. As the book takes shape, it becomes clearer that this persona is very much a craft of Albom's earlier memories, and that the rabbi is an amazingly down-to-earth man who has brilliant wisdom from his life experience to share. 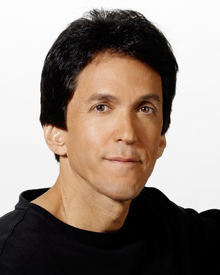 Mitch Albom's personal encounter with the rabbi proves that there is no age limit to arriving at a point of coming-of-age. We see him grow immensely as he takes on this task, and by the end of the book, it is clear that Albom has been incredibly transformed. This book differs from Tuesdays with Morrie in that Albom has weaved together not only the rabbi's story, but also many of his own personal reflections on religion and his own upbringing, as well as another full story of a pastor he met in Detroit. The Pastor is Pastor Henry Covington, who has been reformed from a poor childhood and a mix up into a life of drugs and crime toward setting himself back on the right track. Covington is now helping others get their lives back on the road at a small church in Detroit, which barely is getting by. He leads the congregation in an old dilapidated church building often without heating and with a gigantic hole in their roof. Needless to say, Covington recognizes the need of his work, and little will stop him. Pastor Covington and Rabbi Lewis never crossed paths, but the merging of these two stories introduces many common themes. I will admit that while reading this book, I thought there was going to be an actual intersection of the lives of these two clergy. The fact that there is no crossing of paths actually makes for a more interesting and deeper understanding of what Albom is trying to say in this book. Have a Little Faith is one of the most refreshing reads I have had this year, and I believe this book will be cherished for many years to come by people of all faiths. I predict that many rabbis will be delivering sermons about this book. Albom is also donating ten percent of the book's profits back to Rabbi Lewis' and Pastor Covington's congregations as well as to his own charitable organization.